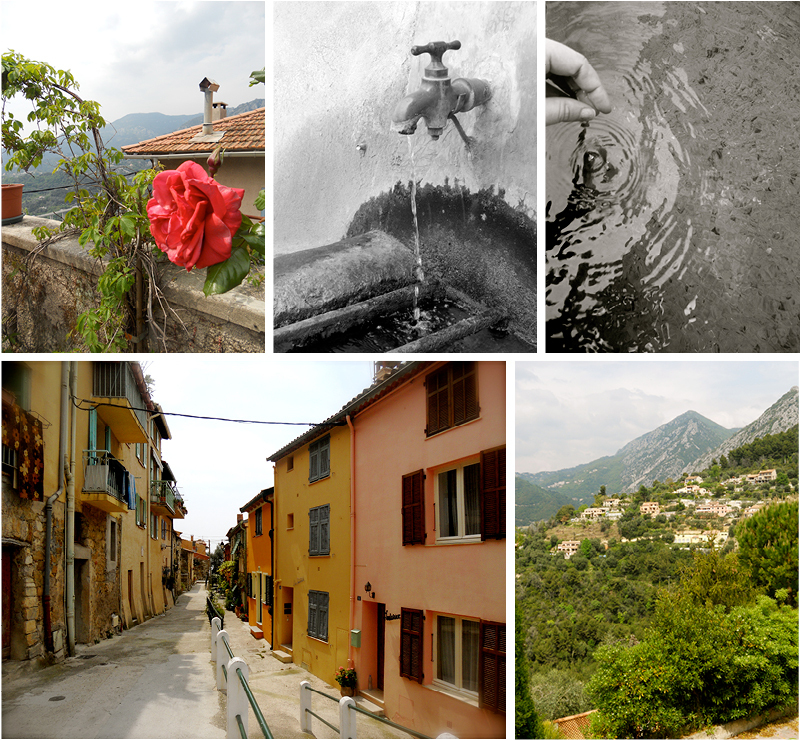 On our last day in Menton we were scheduled to go on a hike. 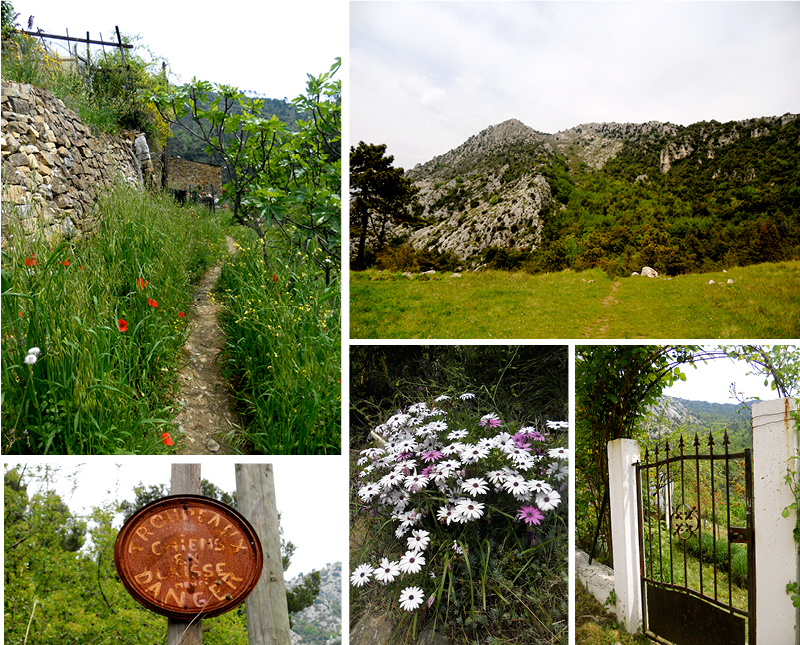 Considering the stunning mountains behind Menton’s Mediterranean shore, it seemed obvious we would take advantage of such a perfect place for hiking. We were told that buses would come pick us up and take us to a small village from where we would go on a two hour hike. Lies. First, there were no buses. Instead about 15 of us had to squeeze into 2 cars. Have I mentioned how small the cars in Europe are? But this just made for some fun. The first car raced ahead of us while my driver sped through town trying to keep up without getting lost. We left town and began to fly around curves as we wound up the bottom of the mountain. The road looked like a one-way street and yet cars flew past each other from both directions, not showing the slightest bit of hesitance despite the narrow, winding road. We finally stopped at what looked like a tiny parking lot. Turns out it was a town, and sure enough once you walked past the road there were tiny little building connected to each other peaking out of the hillside. The whole place was connected by arched walkways in between the building walls. After our car’s little detour we rejoined the group and set off on our hike. It seemed as if every day in Menton I dressed in exactly the wrong thing. I packed clothes for warm weather and was cold the first day. So then I started layering. Well this was not the day to layer. I was wearing jeans, wool socks, leather boots with zero traction, layered tees and a sweater. Big mistake, but apparently I wasn’t the only one who didn’t get the memo. All the girls were wearing mediocre hiking shoes and carrying purses. In my defense, we were told this would be a light 2 hour hike… nice and easy. I figured since we got cars, we’d be driving the long part and then doing a quick walk to a place with a nice view. The French boys kept insisting we were going to the “point all the way at the top.” I can’t tell you how many time we laughed and told them that was a good joke. Well they weren’t joking. Nearly an hour later we were still going. And by going I mean dying slash dragging our sweaty, hot mess bodies up rocky terrain that I would not classify as a trail. Meanwhile our guide is bouncing along 20 feet ahead of us, without a drop of sweat. Did I mention while we drove to the meeting point, he ran up that part of the mountain.. you know, just his pre-hiking warm up. I guess thats what you get when you hire a guide haha. But the sweat and moments where Renata and I thought we were going to die were so worth it. I knew the whole time I’d feel awesome once I got to the top and it felt just as good as I imagined. Plus, the view was amazing. From the top we could see France, Monaco and Italy at once. Menton and Monaco to the right. It felt so awesome to get to the top of the mountain… but then there was getting back down. The hike up took longer than expected so we needed to take a faster (read steeper) route back down. This was quite a challenge, especially for the one girl who wore sandals, because we kept slipping on loose rocks. Somehow we all made it back down to the road without breaking anything major. We did it! But where was our ride? Oh sorry, they forgot to tell us we didn’t have arranged pickup. We were walking all the way down to the bottom this time. 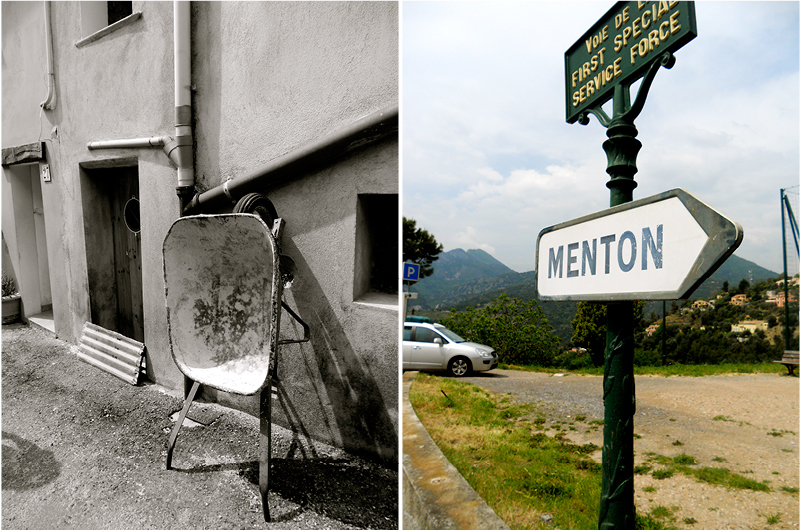 A nice, encouraging sign stated “1.5 hours to Menton.” The craziest part was there were houses up there. Who lives there? Are you kidding me? After all that, after feeling so accomplished at reaching the end and the real end wasn’t even in sight. By this point none of us were talking, just stepping one foot in front of another as quickly as possible. It was 5 by the time we all made it back and we had left at 1 p.m. Overall the hike was an awesome experience but very tiring. 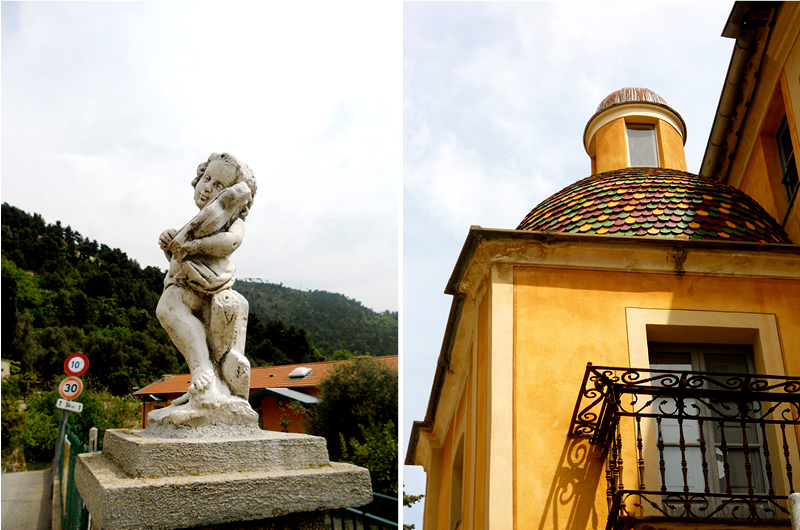 We rewarded ourselves with some delicious lemon gelato (Menton is famous for their citrus). Well deserved if you ask me. You have such amazing pictures on your blog! Awesome! That looks incredible! What an amazing adventure.